Wednesday, Apr. 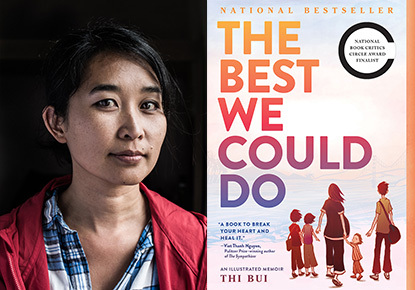 10, 2019, 6:30 – 7:45 p.m.
Join us for a discussion of the 2019 Seattle Reads featured work, "The Best We Could Do" by Thi Bui. This is one of the three community reading events hosted in partnership with Vietnamese Friendship Association. The intention behind this partnership is to create space for refugees, immigrants, people of color and allies to discuss the pertinent themes and issues which Thi Bui raises in her best-selling graphic novel. This group meets the second Wednesday of the month at 6:30 p.m.